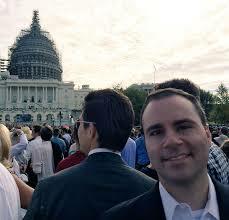 Marc Cevasco is Chief of Staff for Congressman Ted Lieu. We learn how Congress picks a Speaker. The David Feldman Show is heard on KPFK 90.7 FM Los Angeles – 98.7 FM Santa Barbara – 93.7 FM North San Diego – 99.5 FM Ridgecrest/China Lake. You can download it as a podcast on iTunes and Stitcher.